The mile is an iconic distance. Unique in its ability to stoke the fire of the most competitive runner, but also in its wide appeal to people of all abilities and experience levels. 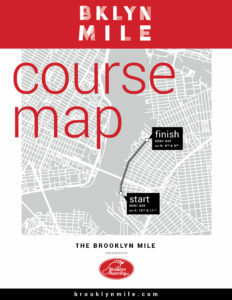 On June 16, participants in Brooklyn’s only road mile will run along Kent Avenue through the heart of Williamsburg. The course itself is super-fast and exhilarating. Personal bests abound for experienced runners, and a unique opportunity for beginners and back-of-the-packers to experience a unique trip and perspective through Williamsburg’s main artery. 11:30AM: The Friends and Family Mile! *Entrance into the Fast Movers Mile is granted by invite only. All those interested are to submit a seed time with registration for a mile time (or metric equivalent) that has been run within the last twelve months. Cutoff times are not pre-determined and evolve as the field takes shape. Please reference prior years’ results for some indication as to what the times have been for these waves.